Similar to the Advent season, the season of Lent is a time of anticipation leading up to a landmark day in the church year: Easter Sunday. Right now, we can especially resonate with the feeling of anticipation at Advent. We have just called a new Senior Pastor, and now we're looking forward to Pastor Danielle Miller's first Sunday with us on May 14. The arrival of a new Senior Pastor instils the sense of beginning a new era at Advent. How will this new era see the extension and growth of our core values, mission, and vision? How might it engage you, and this whole community, in new ways? This Lent, we can begin to explore big wonderings like these through the simple Lenten act of reflecting on our baptism identity. The promise made in baptism is constant. What does it mean "to live among God's faithful people," "to proclaim the good news of God in Christ through word and deed," and "to serve all people, following the example of Jesus"? These questions are essential to who we are. Join us in reflecting on our baptism identity at our three remaining Wednesday Evening Worship services during Lent. Or, join our Prayer Ministry in reflecting on what grace looks like in their "Stories of Grace" daily email devotional (click here to let the group's leader, Kathy, know you're interested in joining the email group). Or, empower our partners in ministry to "serve all people" by contributing to our Mission of the Month in March, ELCA World Hunger. Learn more in the articles below. You're invited to join us for these three remaining meditative worship services exploring how we live out our baptism identity. 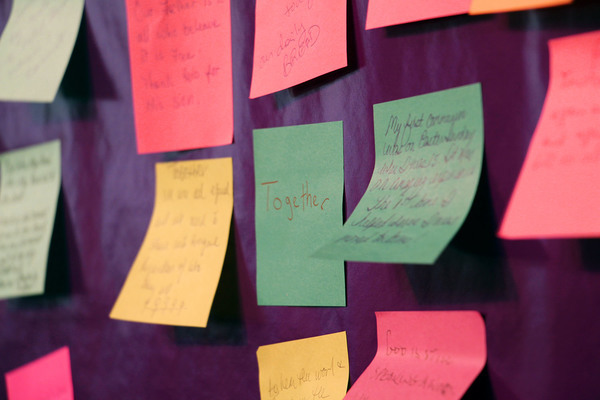 We'll hear reflections from different members of our community, and you'll also have the opportunity to respond with your own thoughts on our post-it wall. To proclaim the good news of God in Christ through word and deed . . .
To serve all people, following the example of Jesus . . .
To strive for justice and peace in all the earth . . . 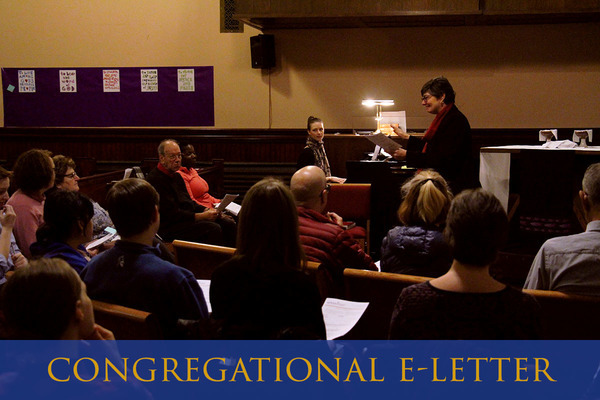 This Sunday, March 26, we're holding two informational sessions about Ministry Scheduler, our central online system for coordinating volunteers in many of our ministries. Whether you are already a volunteer and want to understand the system better, or are just interested in how volunteering in worship works at Advent, this session will equip you to be a volunteering pro. Join us at one of our two sessions, after 9am worship and 11am worship, this Sunday, March 26 in the basement fellowship hall. "Huon Sok lives with her husband and six children in Kiri Akphivoath, a rural village in Cambodia. Lack of food, drinking water, healthcare and schools were challenges they faced daily . . ." Read more. With the uptick in hate crimes and aggressive acts in recent days, learn the tools to be an upstander, one who stands up instead of sitting idly by. Experts from the Center for Anti-Violence Education will offer a training on how to respond to situations we may witness in private and public settings and will give us tools and ideas for deescalation and productive intervention. This event is being put on by our neighbors at Romemu, located near Advent in the Upper West Side. Get directions. To register, email Rabbi Josh Buchin at josh@romemu.org. Click here for more info. A free nacho bar for college students will be offered by LaMP campus ministry from 9:30-11:30pm on Monday, March 27 at Broadway Presbyterian Church on Broadway at 114th Street. Our neighbors have put up some scaffolding on Broadway to do some needed repairs to their building, which unfortunately by city regulations has to extend in front of our building as well. We've put up big, eye-grabbing signs on the scaffolding, facing the sidewalk and the street, to let the Upper West Side know we are still alive and vibrant! What ministry or group will you be involved in this month? There are even more ways to connect in fellowship and service this March! 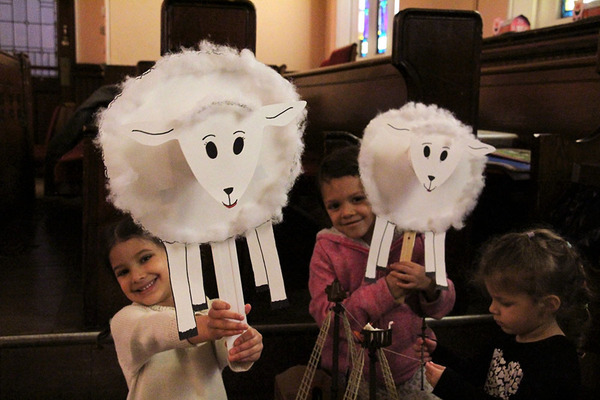 Sunday Singers | Sings at 9am worship. Meets at 8:30am sharp to rehearse. All are welcome. Adult Conversation | Meets at 10:10am in the basement fellowship hall. This Sunday will be the Ministry Scheduler training. Our Mission of the Month for March is ELCA World Hunger, which supports hunger projects in 46 U.S. states and 62 countries. 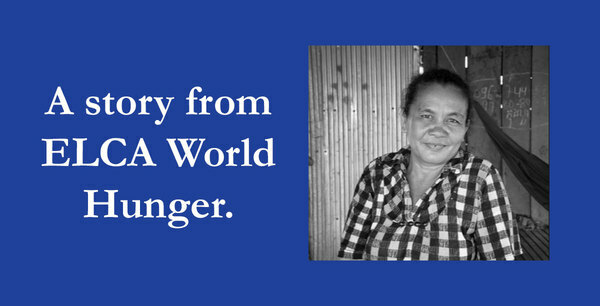 Learn more about ELCA World Hunger here.